Mumbai’s BEST buses are on a bumpy road. Will they find a way out? The city’s legendary bus service is struggling with mounting debts, but a reform plan by the municipal corporation is proving contentious. 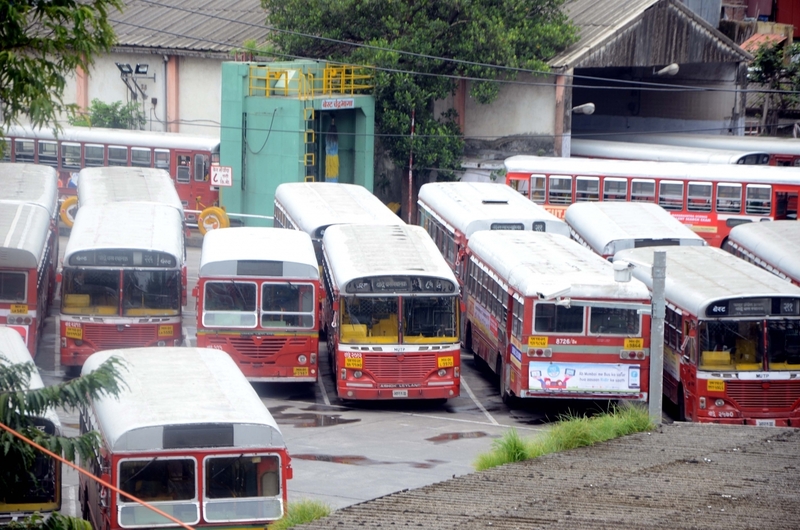 On August 7, Mumbai’s iconic BEST buses stayed off the roads as more than 36,000 of its staff went on strike. They were protesting chronic delays in their salary payments, the scrapping of bus routes and buses, constant traffic congestions and the many other problems that have come to define bus travel in Mumbai today. The protest was called off within a day, after reassurances from the Municipal Corporation of Greater Mumbai. But more than six weeks since the strike, the only change it brought was that BEST employees are now getting paid more regularly, and earlier in the month. For everything else, the city’s public bus service remains steeped in troubles and an unprecedented debt of Rs 2,500 crore – a crisis situation that has transport rights advocates increasingly worried. Run by the 112-year-old Brihanmumbai Electricity Supply and Transport Undertaking, better known as BEST, Mumbai’s public buses have been under fire from citizens for several years for their delayed services, reduced bus frequency, scrapping of routes and degrading vehicles. From a daily footfall of 43 lakh passengers just nine years ago, the buses now ferry barely 28 or 30 lakh people a day. BEST has tried to attract passengers by installing security cameras and TV screens in its buses and announcing satellite-based bus tracking services, but its losses have been more significant. In the past five years, the Undertaking has scrapped hundreds of its old buses but has not replaced them with new ones. This April, it took all of its 259 air-conditioned buses off the streets, to cut costs. Last month, it proposed scrapping 450 of its regular buses because of maintenance problems, while planning to raise the base bus fare from Rs 8 to Rs 12. None of these plans are likely to help BEST cope with its mounting losses, which have increased from Rs 411 crore a year in 2008 to more than Rs 1,100 crore a year today. How the civic authorities choose to respond to this crisis will impact the lives of lakhs of Mumbai citizens. BEST employee unions and committee members want the municipal corporation to bail it out with a grant and a more generous annual budget. The municipal corporation, instead, wants to introduce a “reform package” for BEST that includes the closure of more bus routes, hikes in ticket fares and privatisation of bus operations. Transport activists, meanwhile, are lobbying for a range of long-term solutions that include dedicated bus corridors, disincentives for private transport and emulating successful bus transport models in other parts of India. The BEST crisis can be traced to two major roadblocks it has faced in recent years. As a public sector undertaking owned by the Municipal Corporation of Greater Mumbai, BEST has two wings – transport and electricity supply. Public transport services are almost always loss-making, but for decades, BEST buses stayed afloat because the Undertaking offset its transport losses with the cess charged on its power supply consumers. In 2003, however, the central government’s Electricity Act barred such cross-subsidising, and the transport division’s losses started piling up. The other roadblock for BEST has been quite literal: since 2001, the number of vehicles on the roads of Mumbai has more than doubled, from 1.03 million to 2.55 million. Among them, the rise in the number of private cars and two-wheelers has been even more dramatic, from 0.79 million to 2.27 million. With roads perennially congested, BEST’s fleet of 4,000-odd buses inevitably run slow and arrive late. “People want fast services, and now many of them have moved to Uber, Ola and autos, even if they are not as cheap as buses,” said Anil Kokil, chairman of the BEST committee who represents the interests of the Undertaking as a councillor in the municipal corporation. With higher losses than ever before and little revenue to help improve services, BEST took a loan of Rs 1,600 crore from the municipal corporation in 2015. Given the Undertaking’s dire straits, however, BEST committee members and all its unions have been indignant that the corporation is charging 10% interest on the loan instead of bailing them out with a grant. “We have already paid back Rs 1,100 crore of the loan plus another Rs 550 crore of the interest, but we need to keep taking short-term loans to be able to do that and to run our operations,” said Kokil. BEST is currently taking loans of Rs 200 crore every month from other financial institutions to be able to pay salaries, but remains trapped in a cycle of losses that are far more acute than that of other major public bus services in the country. This was revealed in recent a research study by policy think tank World Resources Institute India, on the impact of the multiple central and state government taxes on 10 different public bus services in the country. The study found that as of 2014-’15, the tax outlay of almost all the bus services exceeded or was almost equal to their losses for that year. BEST was the only exception, where the Undertaking’s losses exceeded Rs 850 crore, while its tax outlay was less than Rs 100 crore. The municipal corporation’s plans to address BEST’s losses involve a slew of reforms that municipal commissioner Ajoy Mehta has proposed over the past few months. These include cutting down on the number of existing bus routes, hiking bus fares, reducing fare concessions given to students, senior citizens, freedom fighters and others, not expanding staff strength and leasing buses to private operators. These proposals have left disgruntled several BEST employees as well as several public transport advocates, who believe that the suggested reforms are driven by the mistaken idea that public bus services need to be making profits. The bigger debate, however, is over the question of introducing privatisation in the operations of BEST buses. 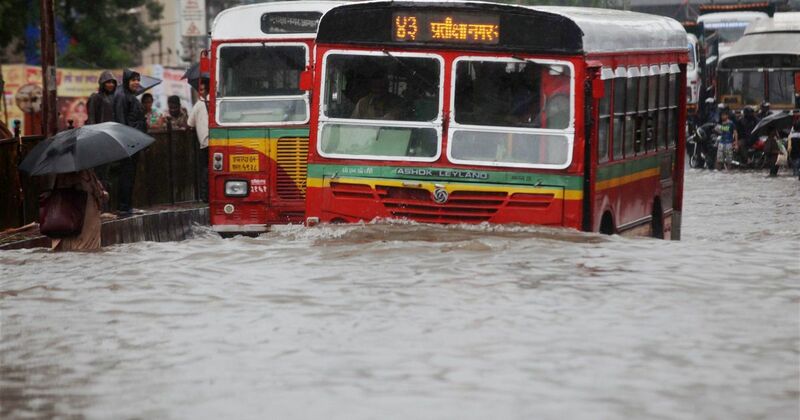 The Mumbai municipal corporation has proposed “wet leasing” a portion of the city’s buses, which would involve hiring private operators and drivers to run bus services on several routes while BEST would remain in charge of collecting tickets and revenue. However, Delhi’s most notoriously unsafe private buses – the Blueline buses – were discontinued in 2011 itself. During their 20-year-run, the buses operated without any direct regulation by the city or state authorities, and were known for rash driving, internal competition amongst different private operators and numerous fatal accidents. Since then, while the Delhi Transport Corporation continues to operate a larger portion of the buses, the state government has also started a “cluster model” of privatisation in bus services. Under this model, bus routes are planned and monitored by the Delhi Integrated Multi-modal Transit System (a public-private partnership company), while the actual buses and its operations are provided by different private companies. 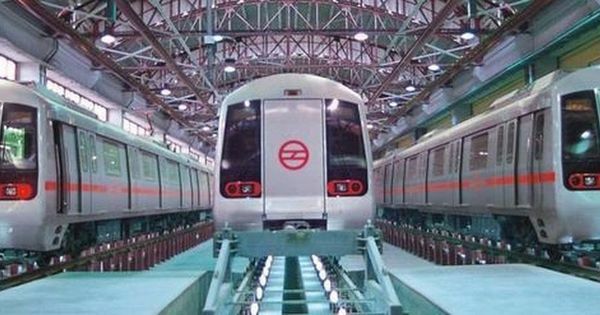 “The government pays the private operators based on the number of kilometres they run on each day, while the Delhi Integrated Multi-modal Transit System absorbs the losses incurred,” said Ravi Gadepalli, a former transport programme manager at the Shakti Sustainable Energy Foundation in Delhi. “The state government reimburses Delhi Integrated Multi-modal Transit System for this based on the viability gap.” Gadepalli believes this model has led to a general improvement in bus services in Delhi, with the Delhi Integrated Multi-modal Transit System monitoring the maintenance of the buses. Another privatisation model that seems to be working, according to Amit Bhatt, is the one in Bhopal. Here, various city authorities have set up a small transport company, with just a handful of staff, to plan, facilitate and monitor. Like the Delhi cluster model, the actual operations are managed by private players. However, unlike in Delhi, the ticket sales and revenue collection in Bhopal’s buses are also in the hands of the private operators, who are expected to keep the ticket rates below a certain threshold for the sake of the masses. Neither privatisation nor a more efficiently managed public model of bus services can, however, address the issue of Mumbai’s worsening road congestion. According to transport activist Ashok Datar, this is the pressing problem that the city’s civic authorities need to address in order to revive BEST. “Today, so much of road space in the city is used by private cars to park for free,” said Datar, the chairman and trustee of the non-profit Mumbai Environmental Social Network. If buses are as essential a public service as health or sanitation, says Datar, they need to be given right of way with a dedicated bus corridor, just like railway lines cannot be encroached.